The last few years have seen changes in the regulatory and legislative landscape that heavily impact business planning. Whether you own a business or invest privately, you need up-to-the-minute information in order to assess your prospects in a rapidly changing market. At Eckstein Law Firm, Michael L. Eckstein stays current with the most reliable analyses of tax law and business issues and opportunities so you can be ahead of the curve. 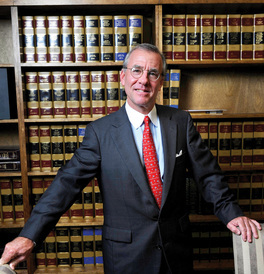 Eckstein Law Firm has built a solid reputation for exceptional service over the course of three decades. Having consistently performed in a highly ethical and professional manner, Michael L. Eckstein has been honored with a perfect 5.0 AV® Preeminent™ Peer Review Rating from Martindale-Hubbell®, and has been named a Louisiana Super Lawyer every year from 2007, the inception of the designation in Louisiana, through 2016. Eckstein Law Firm was also selected by SuperLawyers as the top law firm / sole proprietorship in Louisiana for Business and Transactions. To schedule an appointment with Eckstein Law Firm, call 504.527.0701 or contact the firm online.